'GTA V' won't let you "do crazy things for no reason"
If you’ve played a game in the Grand Theft Auto series, it’s likely that you quickly realized the world is your playground. While the franchise has sold well over the years, there becomes a point in each title in the series where fans begin to create havoc rather than complete the story missions until the end. You won’t see anyone doing crazy things for no reason. The player will have access to enough heavy artillery early in the game, but again, in a particular context and not without reason. We want to give the player the opportunity to get to know the three characters individually, and explore the world as each of them, and it would not have been possible if all three had been available from the start. It’s rather likely that this refers more to the story missions being more “grounded” and keeping the player’s interest. For those who still want to just run around wild in the open-world and create mass panic, it still appears that will be an option. In San Andreas, CJ returned to the city after a long hiatus and in GTA IV we saw Niko Bellic arrive to Liberty City as a newcomer. 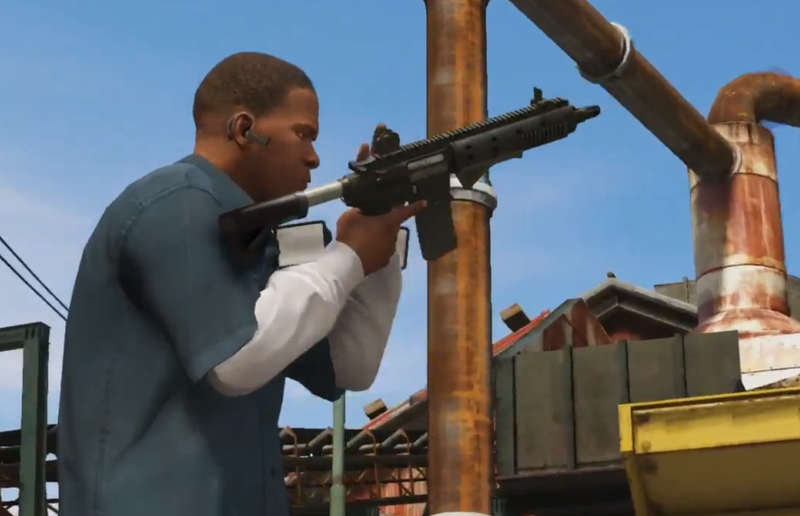 With the three characters already living within Los Santos we’ll likely see a story that features less “filler” missions that often lend players to shy away from completing them. What’s your overall opinion on GTA V so far? Be sure to let us know what you think by leaving us a comment below, or continue the discussion on Twitter and Facebook.